Botox injections are no longer purely used only for cosmetic purposes. They can be used to relieve pain associated with an often difficult to treat a medical condition known as TMJ. Learn more about how this once cosmetic-only procedure is now being used by dentists to help patients find relief from extreme jaw pain. TMJ is an abbreviation for temporo-mandibular joint which is the tiny joint located on the sides of your face that are used to attach your jaw to your skull. Each of the joints is surrounded by multiple groups of muscles which are responsible for helping you to open and close your mouth. Every day, the TMJ and surrounding muscles are put under a lot of strain as you do everyday activities such as talking, eating, and yawning. Some people can continue to engage in these activities with little or no pain, but others may notice that over time they start to experience extreme pain or tension in the sides of their jaw or head. People who experience pain and tension in this area have developed a condition known as temporo-mandibular joint disorder (TMD) or temporo-mandibular joint syndrome (referred to as TMJ for short). How Does Botox Help People Who Suffer from TMJ/TMD? When you undergo Botox treatment, a toxin known as Botulinum Toxin is used. This toxin has a ‘relaxing’ effect. The relaxing effect is only applied to the area where the injection was performed. 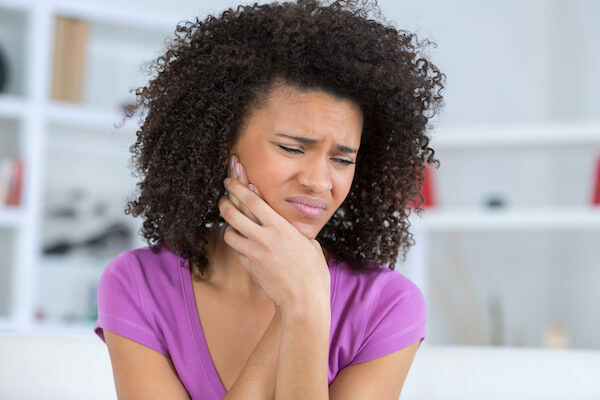 The pain and discomfort you experience when you suffer from TMJ/TMD, regardless of the cause of it, happens because the muscles in your jaw or face are tightened. Injecting the Botulinum Toxin directly into the face near the temporo-mandibular joint forces the muscles to relax can help force the painful and tight muscles to relax. Once they are relaxed you will experience relief from any pain and discomfort. Like any medical or dental procedure, there are pros and cons associated with Botox. Before undergoing this type of procedure it is important that you carefully consider the pros and cons. When Should People Consider Undergoing Botox for TMJ/TMD? Botox should really only be used as a last resort for people who suffer from TMJ/TMD. If after trying other treatment options, such as using a heat pack, OTC pain medication, and rest, you still experience extreme pain and discomfort, it may be time to consider Botox. Since Botox is not a permanent cure for TMJ/TMD and is really only a treatment that provides temporary pain relief, it is important that you work closely with your dentist and healthcare professional to find out what is causing your pain. Once the exact cause is found, you work to permanently treat your TMJ/TMD. Many causes of TMJ/TMD, such as teeth clenching, teeth grinding, and poor posture can be easily treated. Once treated, the pain will eventually go away and you may not need Botox. Think Botox may help you with your TMJ/TMD pain? Call Bonham Dental Arts to schedule an appointment to discuss using Botox injections to treat your pain and discomfort caused by TMJ/TMD.